MTN have come again o, this time with an offer many subscribers wont reject. 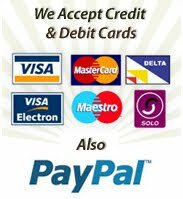 Make 20minutes call from an MTN line to another MTN line for just 100naira. Below is the text i received. 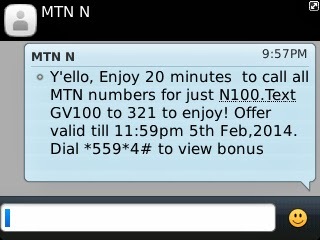 Y'ello, Enjoy 20 minutes to call all MTN numbers for just N100. Text GV100 to 321 to enjoy! offer valid till 11:59pm 5th Feb,2014. Dial *559*4# to view bonus.